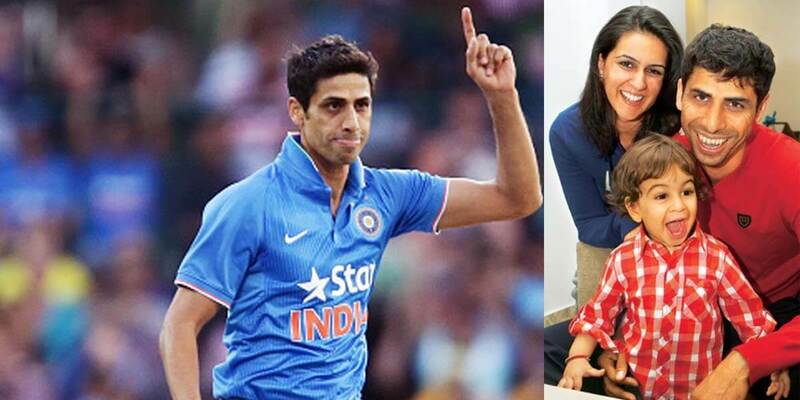 Ashish Nehra is a well known personality of the Indian cricket team. He may seem all aggressive on the field but in reality he is a very quite natured person. He believes in having good people around him, people who make him happy, who make him grow as a person. Maybe that is why he took 7 years to make the most important decision of his life. Let’s find out about his love journey. Ashish says that he met Rushma in England in the year 2002. India was having a match against England and Rushma happened to be there. That is when they first saw each other. And in that single glace, magic happened. Ashish continued seeing her after that. They become friends and soon their friendship took the form of love. Days and nights passed by and with each passing moment their love only grew. Seven years passed just like that. But their marriage plan was made in minutes, and they got married within days after making the decision. Want to know how? Read along. Ashish says that one evening he was out with friends and, that evening just like that, out of the blue, he decided to get married. Impulsive? Yes, it is. But he took seven years to know Rushma. I guess that wait was worth it. But the funny things is when Ashish called Rushma to ask her if she would marry him, she thought he was joking, or maybe he was high. She didn’t respond. But when Ashish repeated the same question, the following morning, she was convinced that it was no joke. Ashish wanted to marry her, and spend the rest of his life with her. She instantly said yes. This couple tied the knot on 2nd April, 2009. It has been 8 years since then and this couple has been blessed with two beautiful kids. This couple believes that you should take time in knowing people around you and being with the ones you love and the ones who love you. They were meant to be together. They have now spent around 15 years together, and we wish them a forever of happiness.